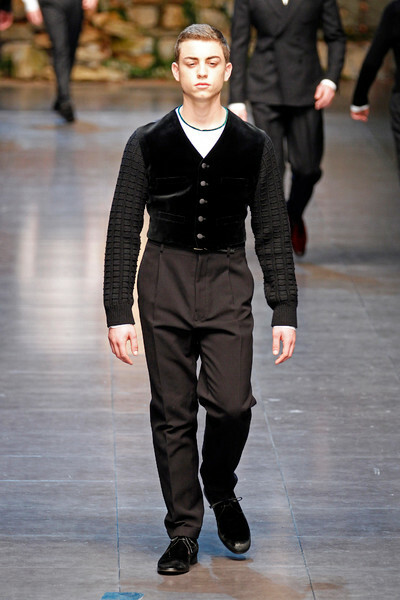 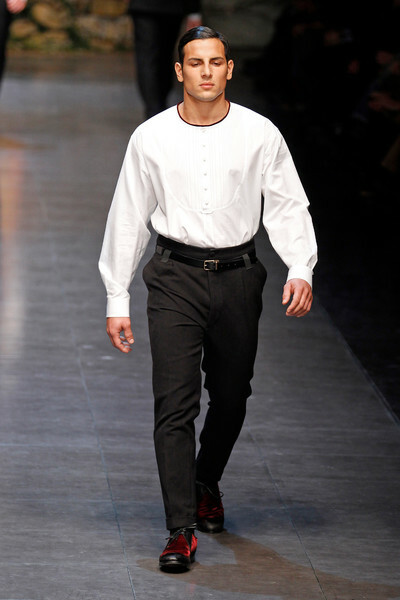 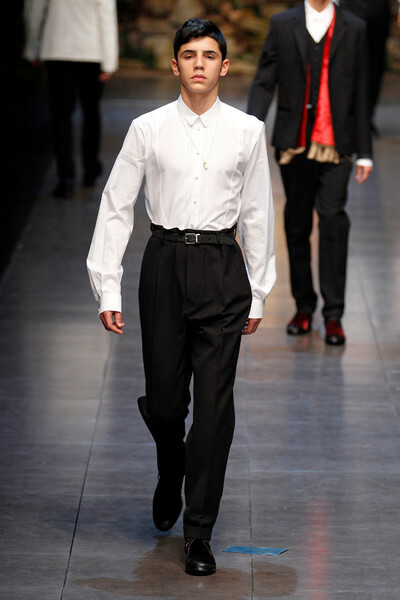 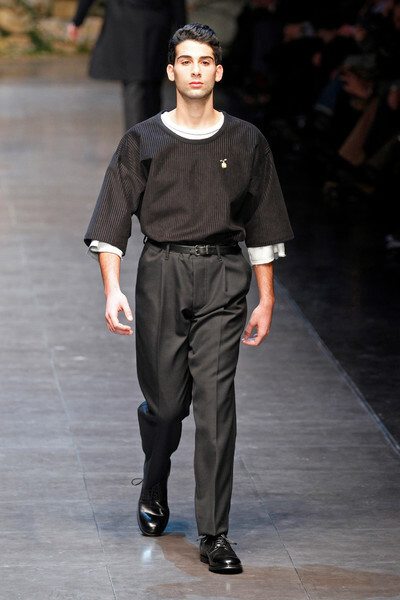 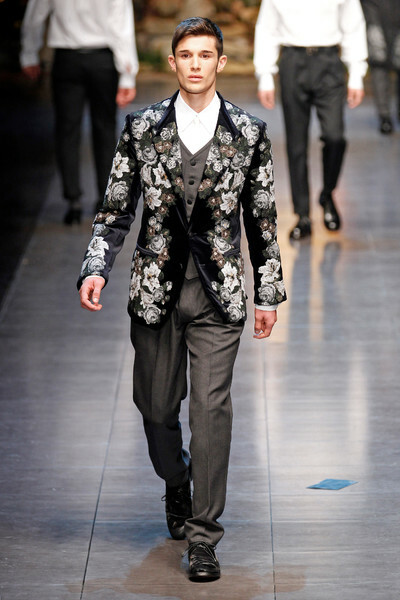 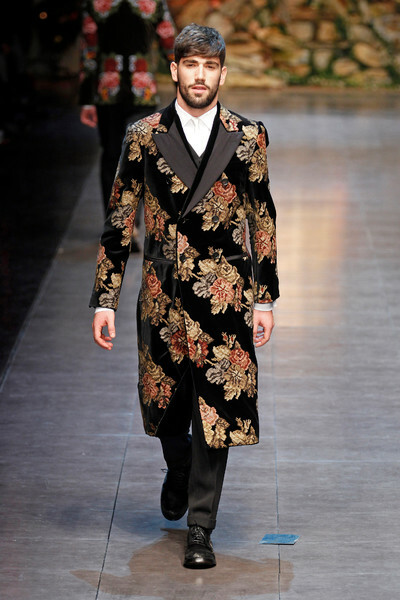 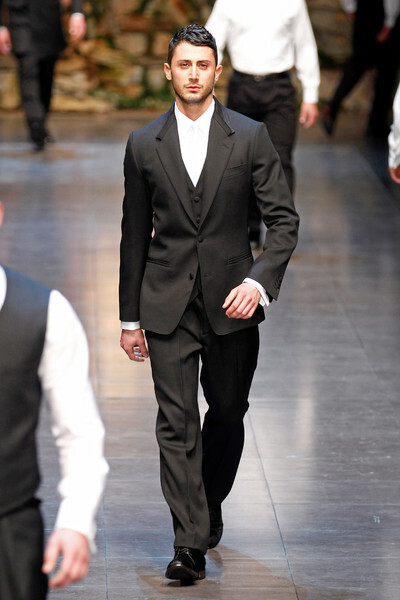 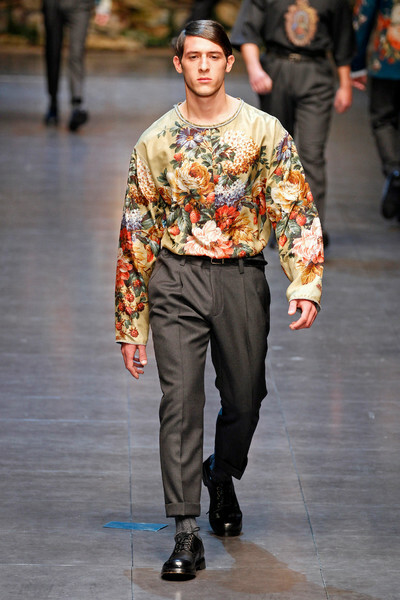 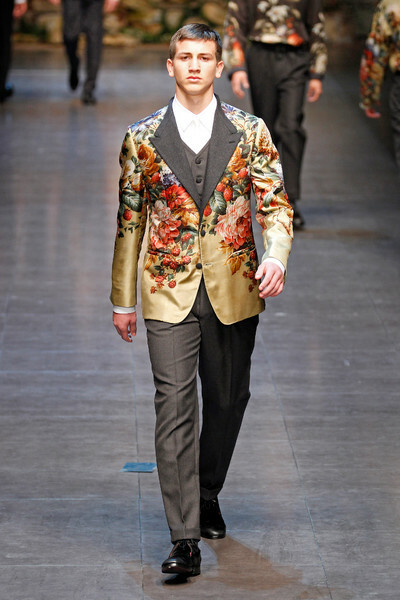 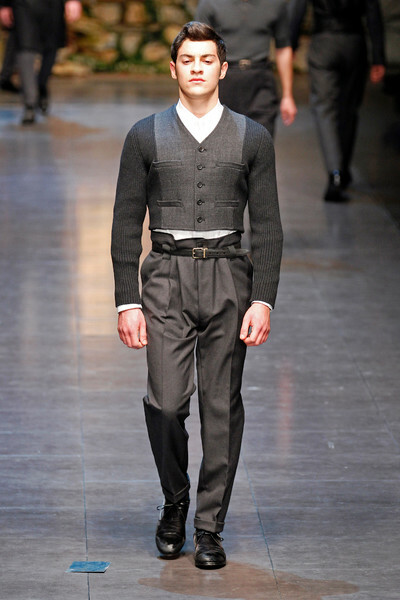 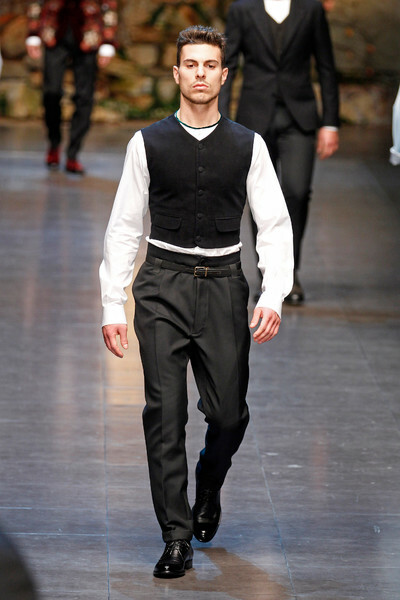 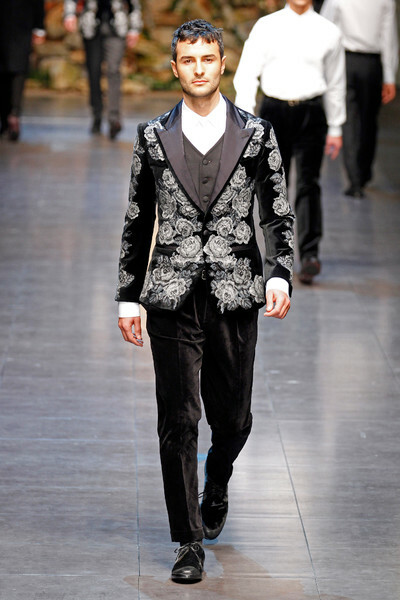 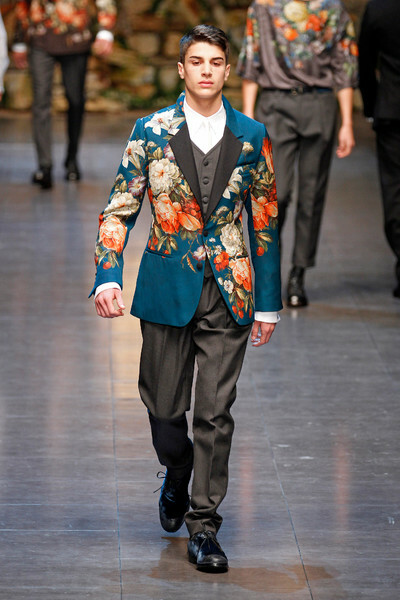 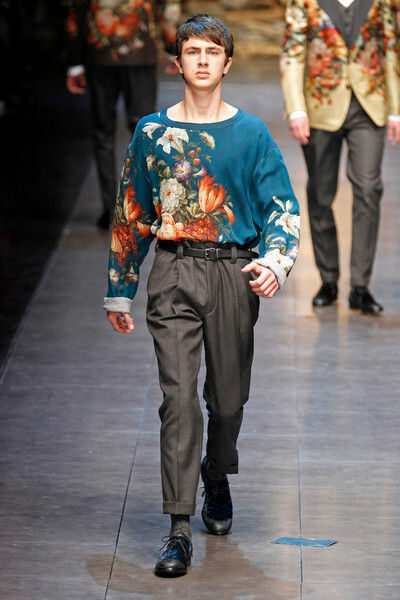 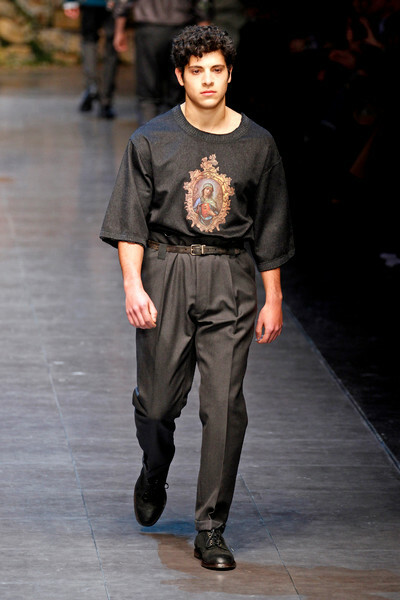 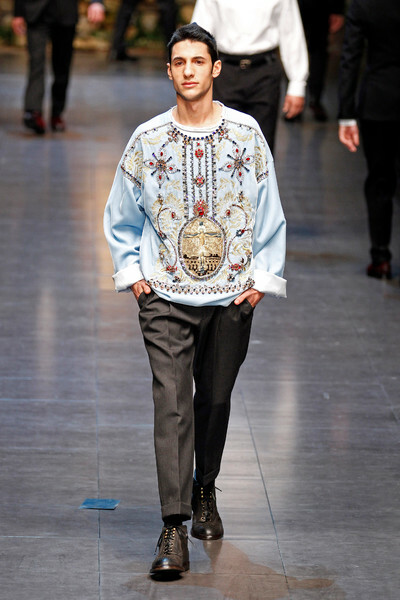 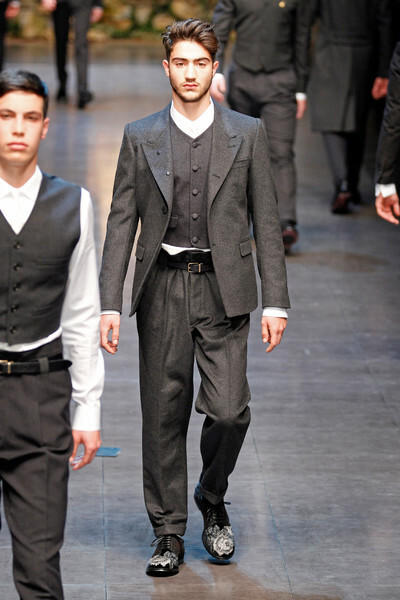 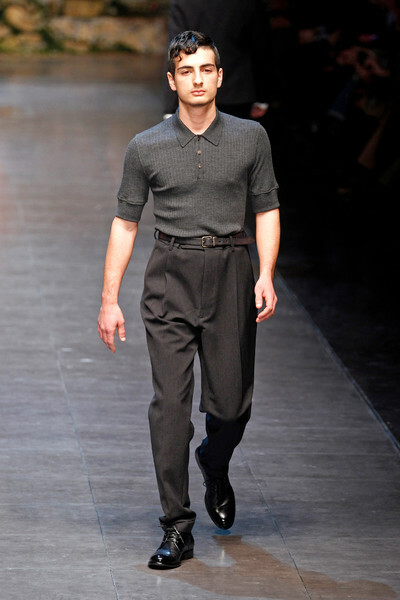 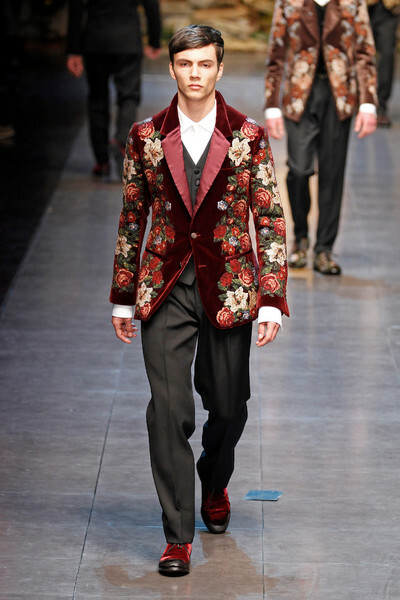 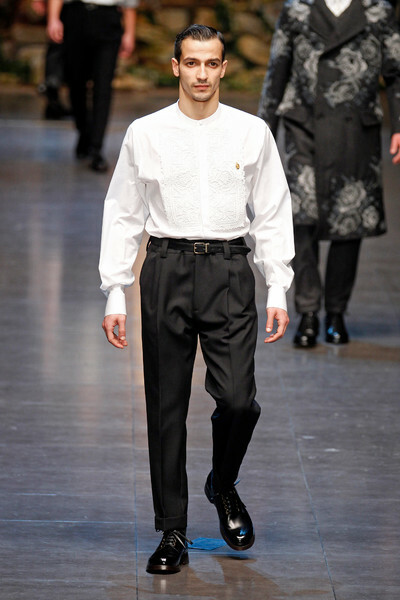 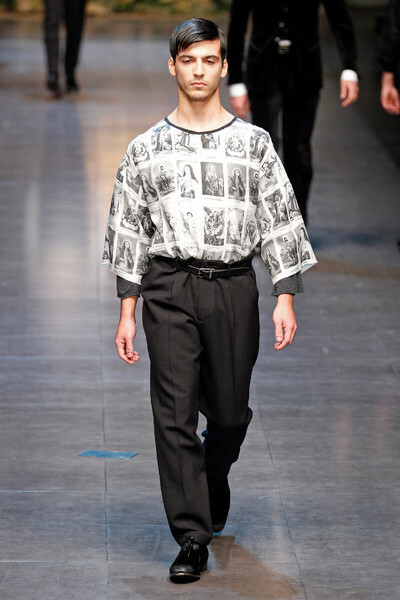 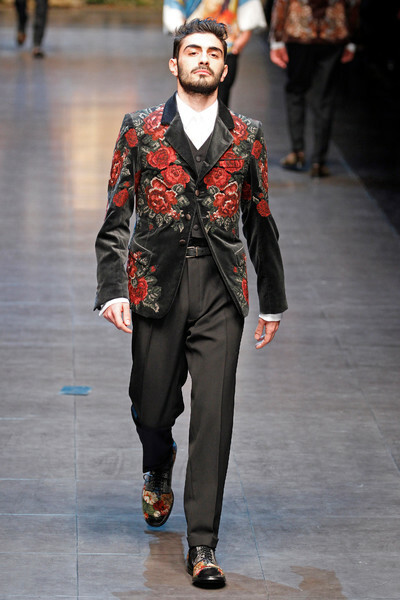 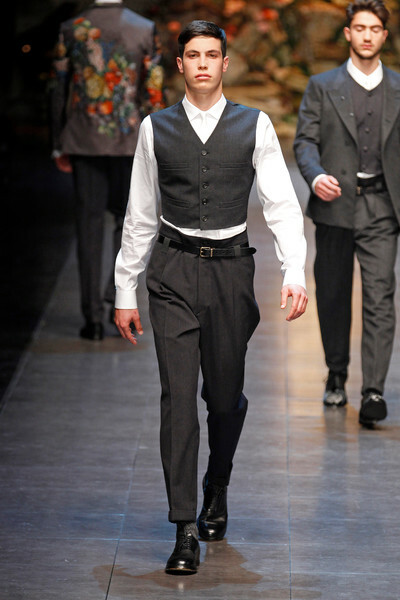 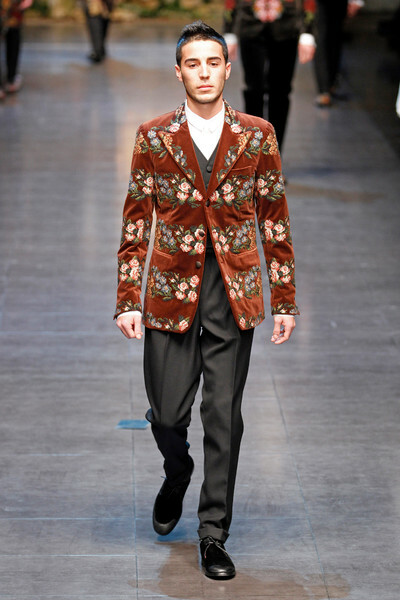 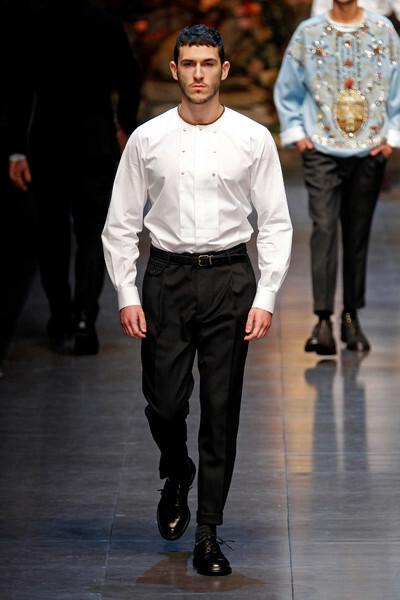 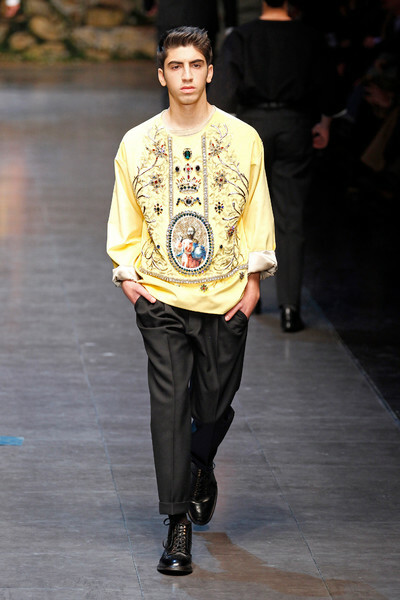 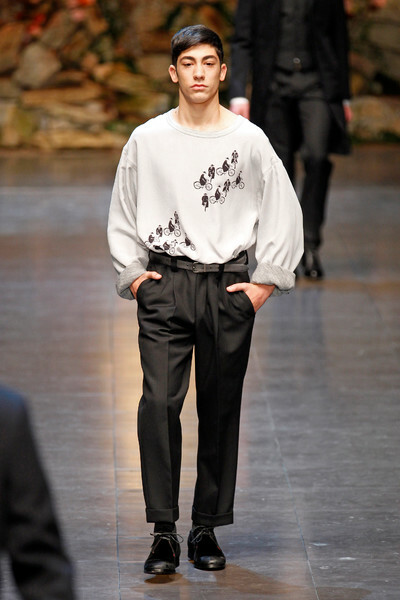 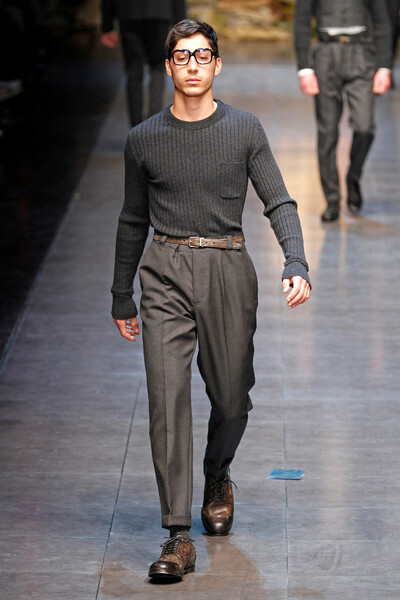 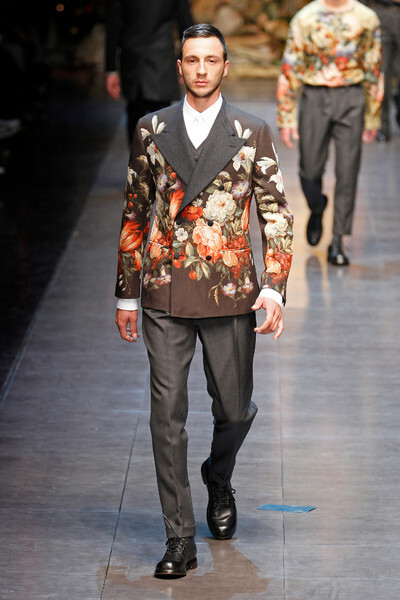 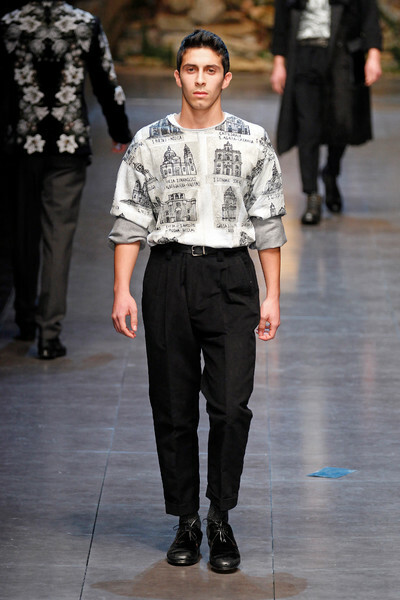 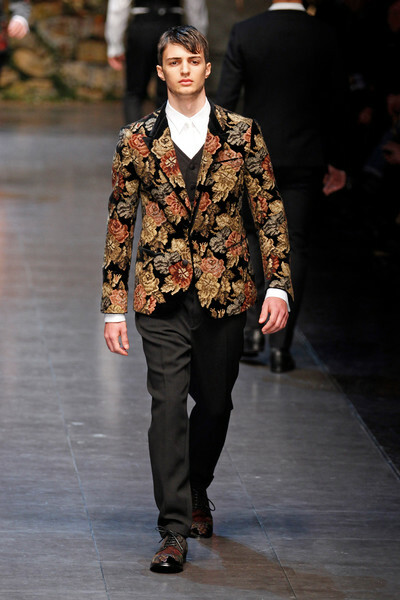 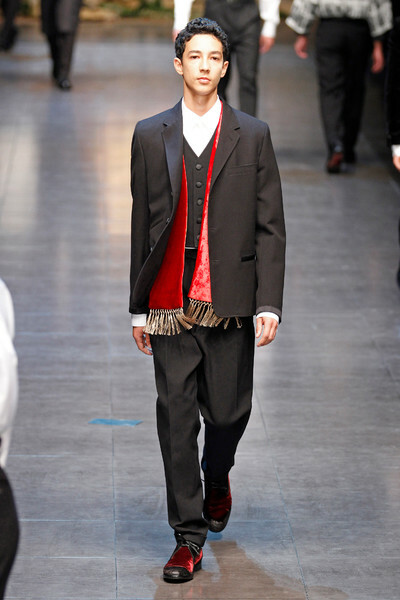 The models’ looks couldn’t have been more different from each other today at Dolce & Gabbana. 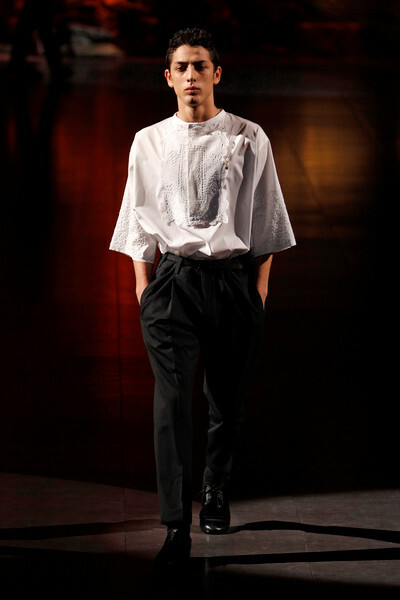 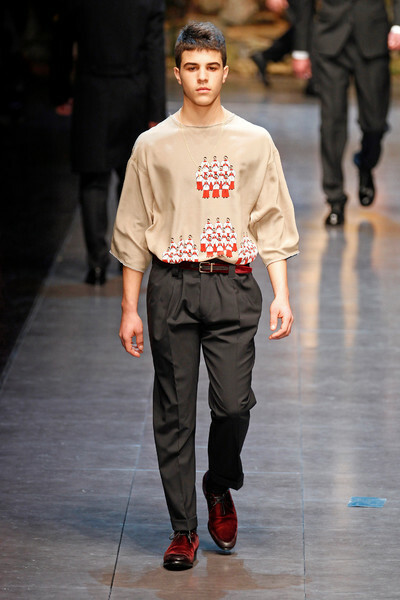 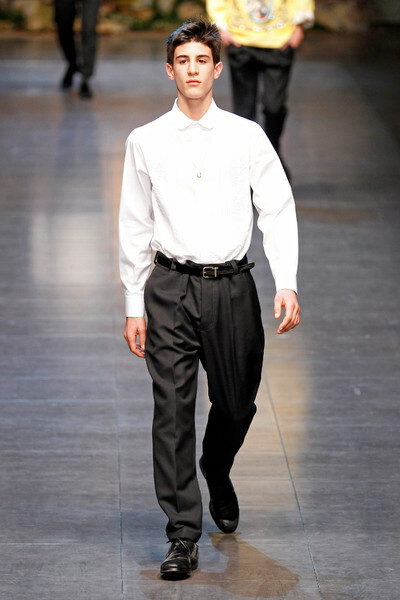 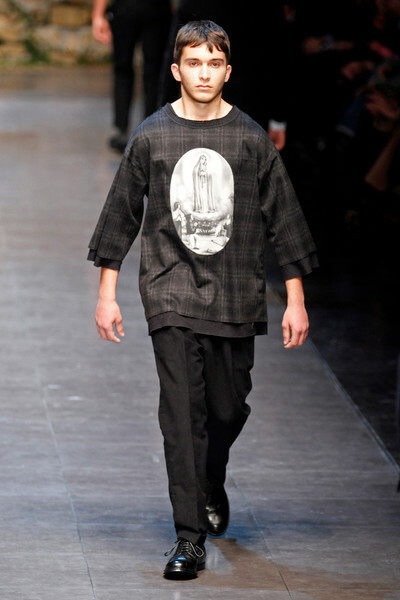 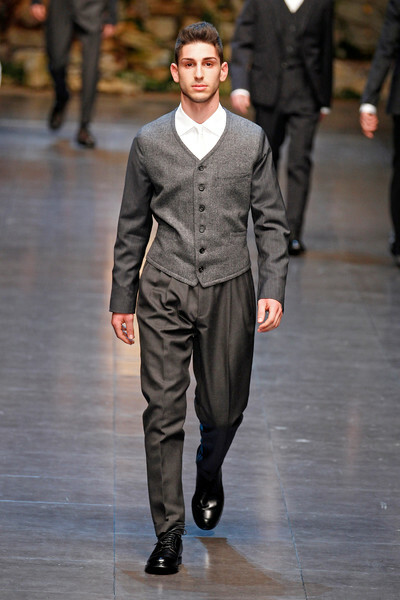 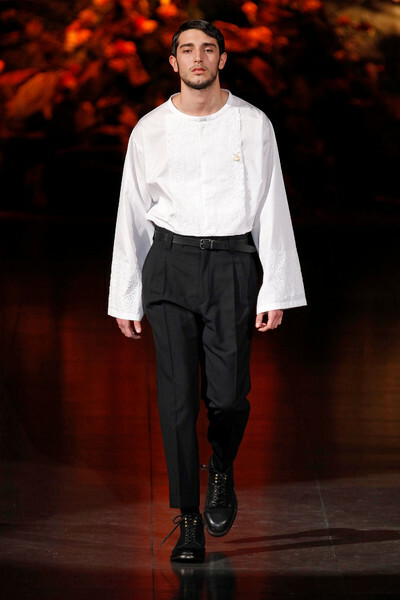 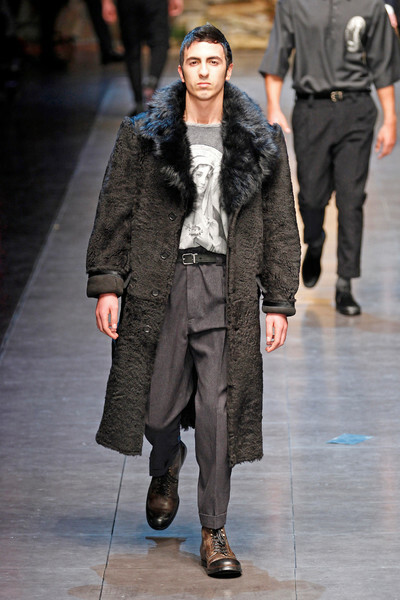 Long bearded men walked to Milan show next to some very young fresh faced boys. 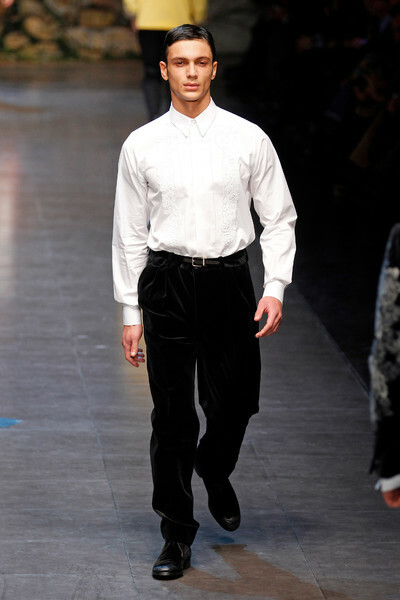 No seasoned models, but all guys and men (protagonists) hand picked by Domenico and Stefano because of their Sicilian roots. 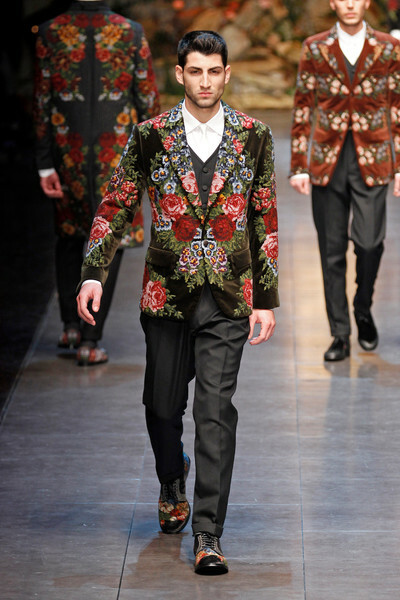 Because once again the Sicilian designers focus on their heritage and origin. 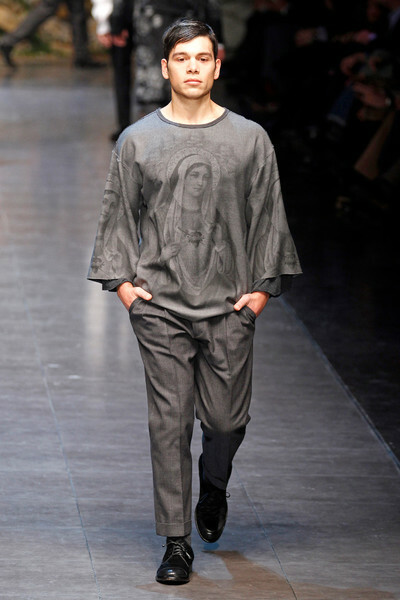 It is all about devotion for fall/winter 2013/2014. 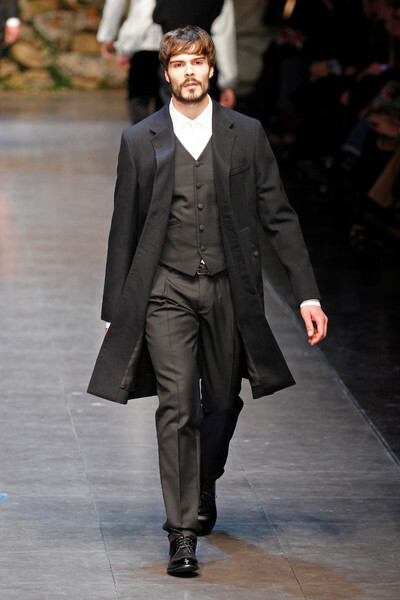 Absolute devotion to tailoring, devotion to cut, devotion to fabrics and devotion to details when it comes to the clothing. 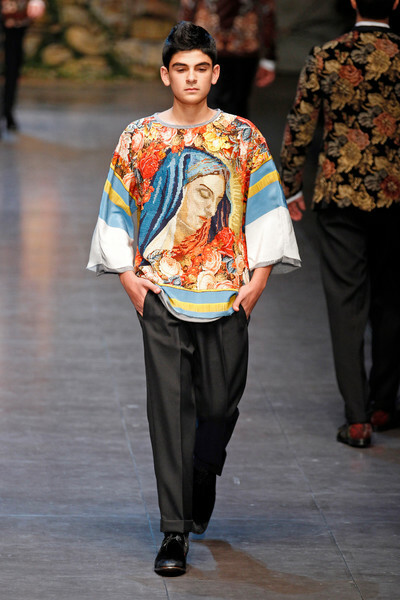 And devotion to family, devotion to religion and devotion to love when it comes to the vision behind those clothes. 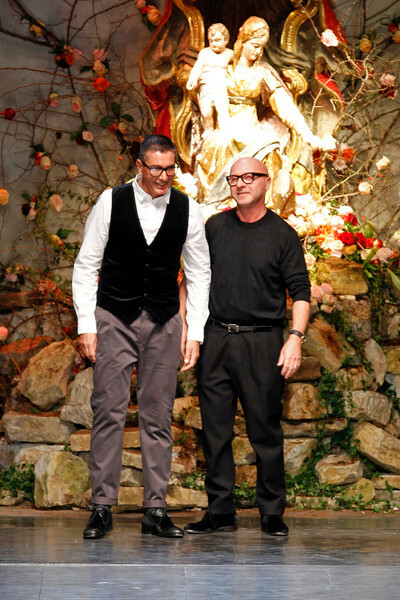 And all that devotion surely paid of. 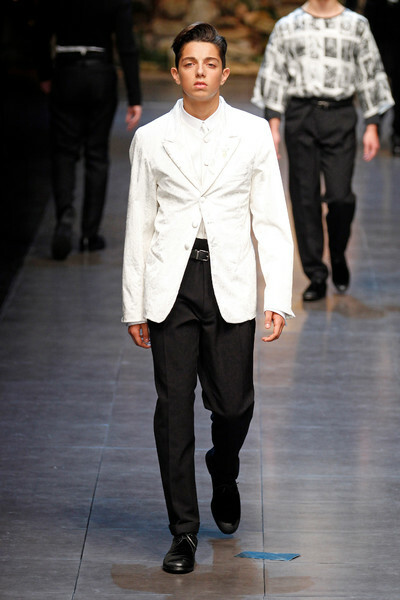 The (more than 80) protagonists looked impeccable in the classic creations. 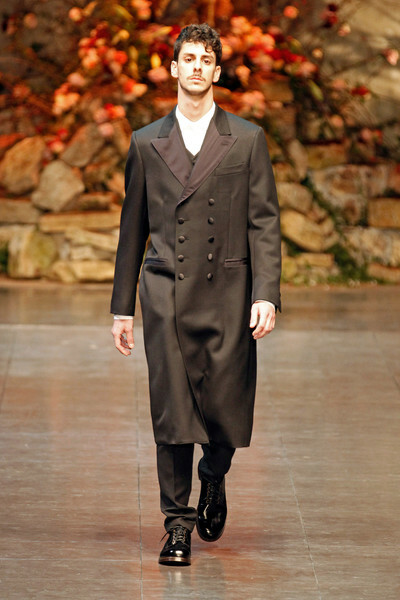 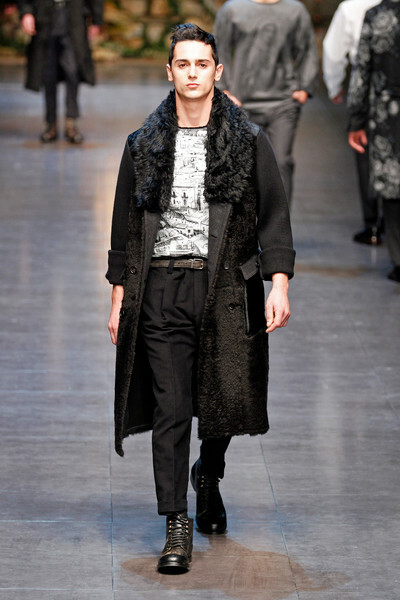 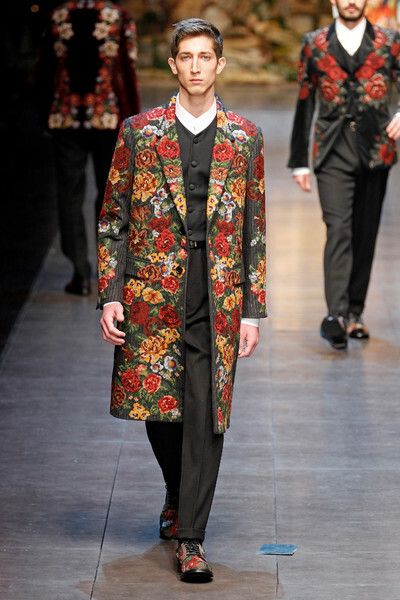 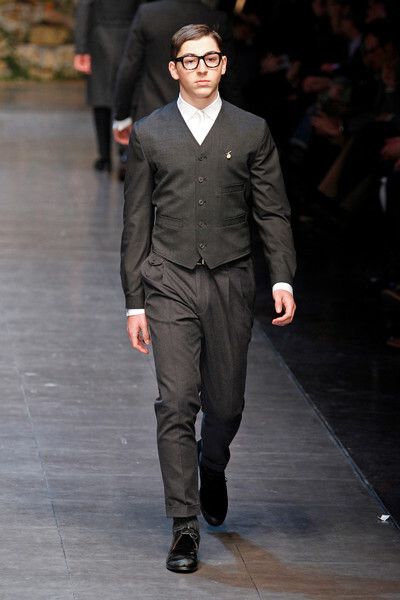 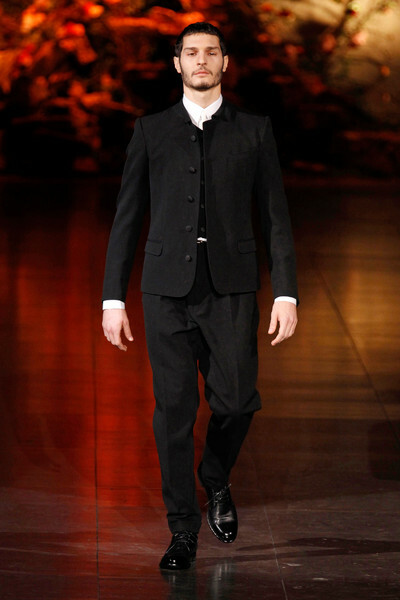 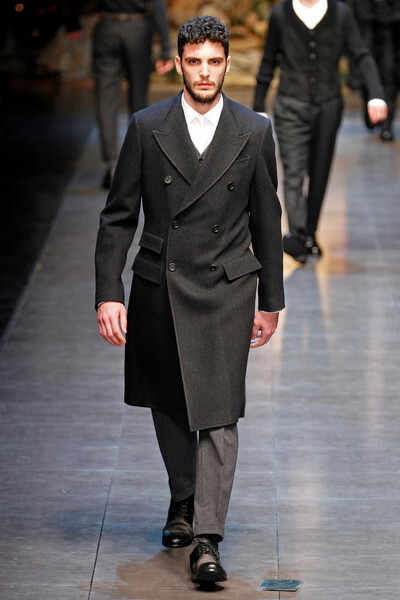 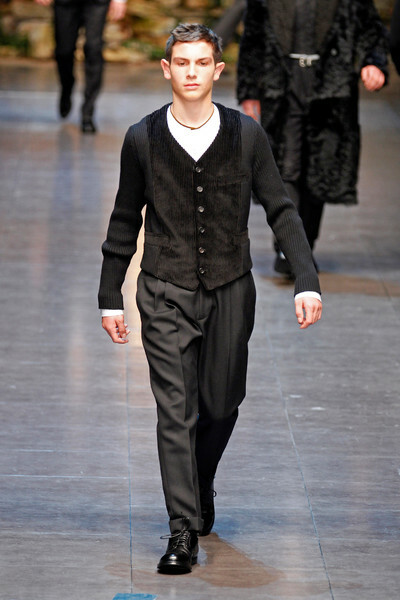 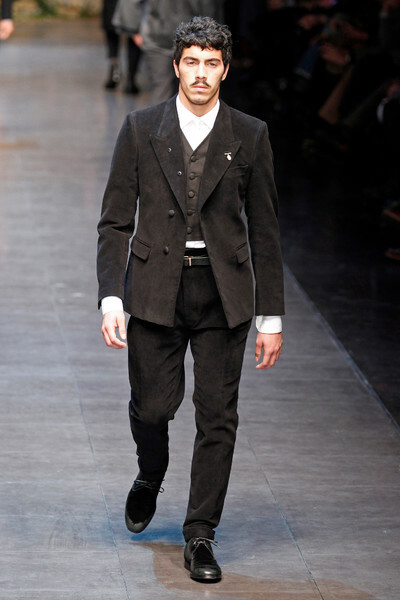 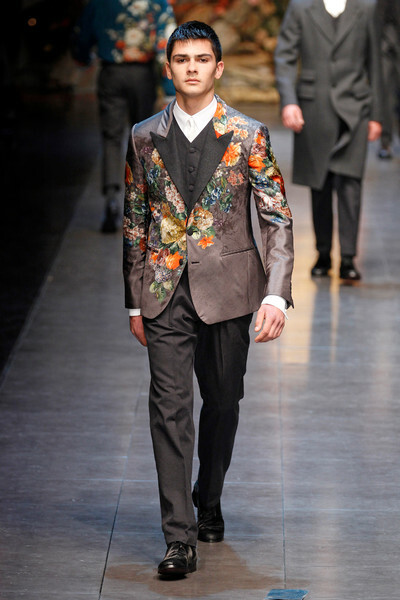 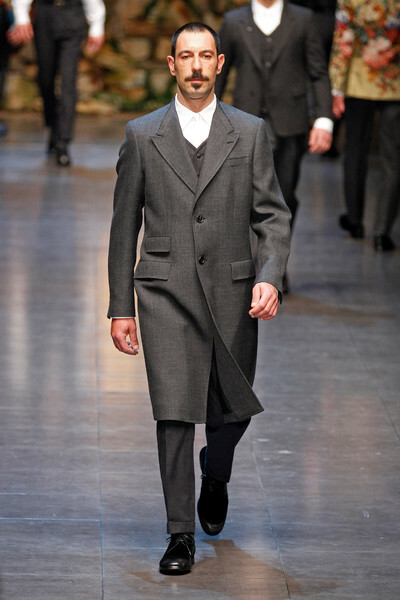 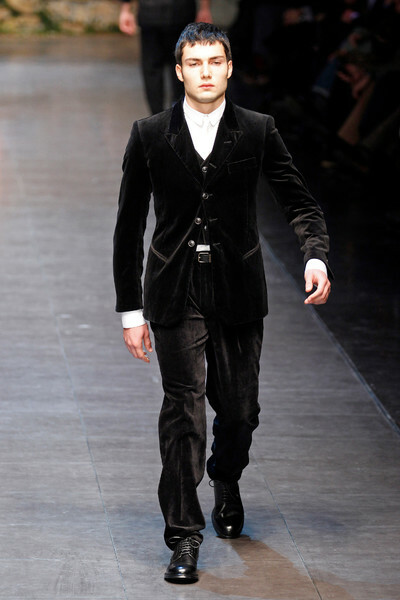 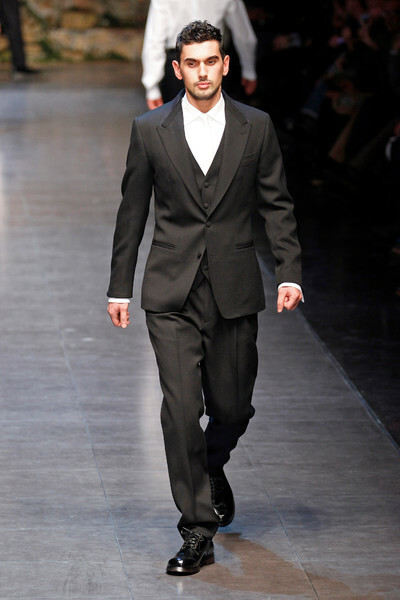 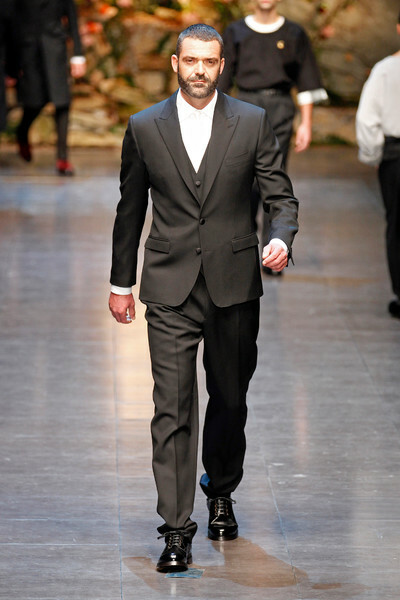 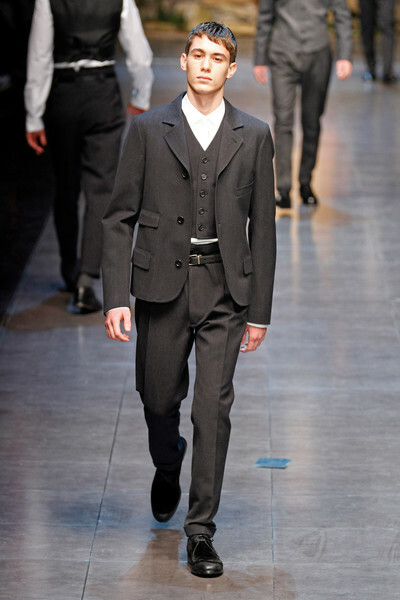 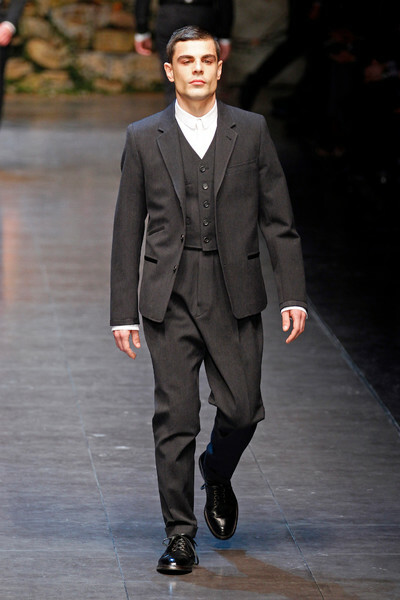 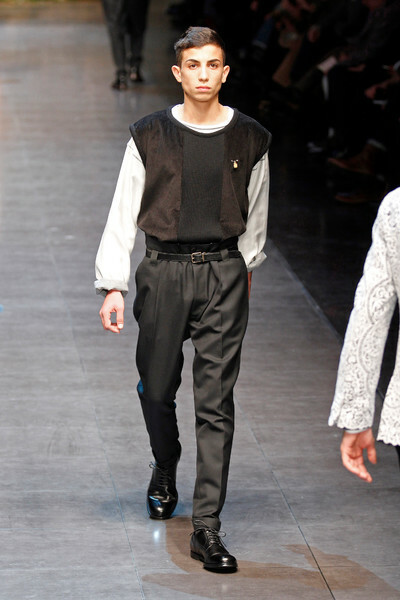 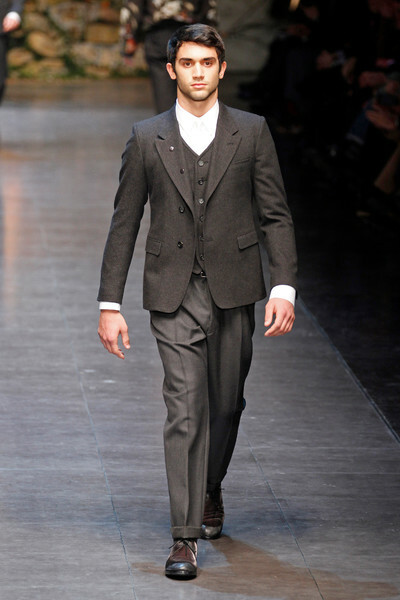 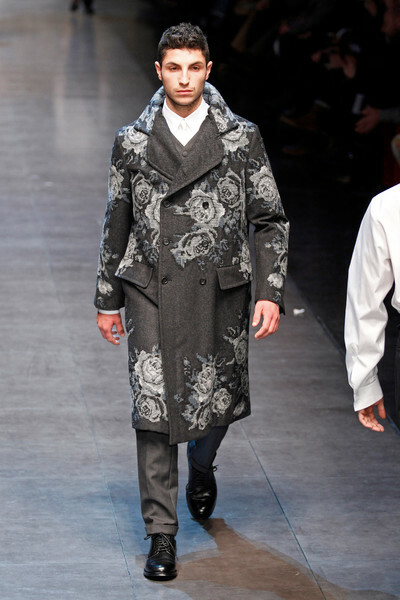 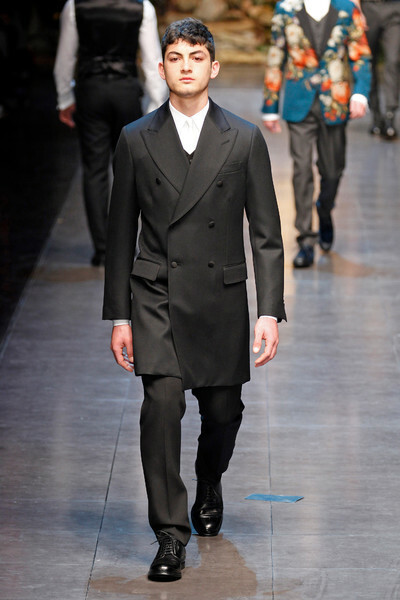 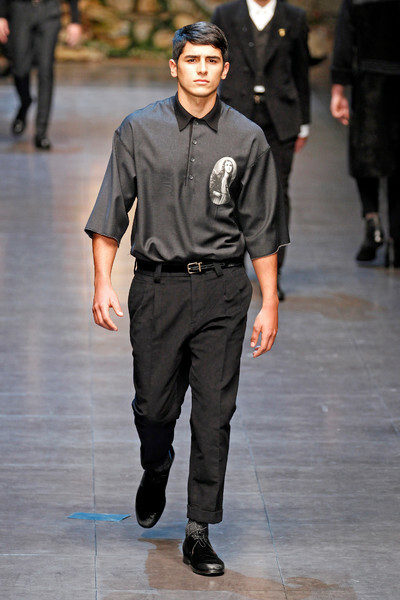 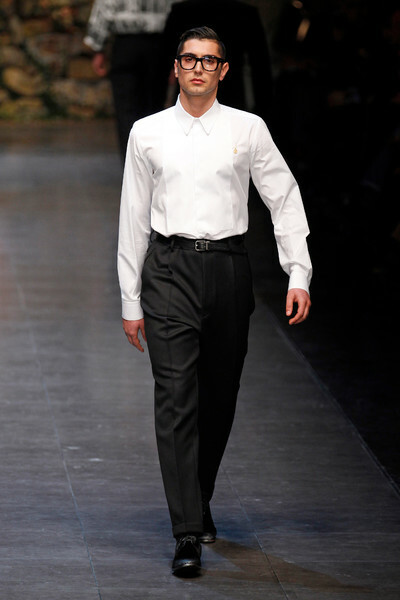 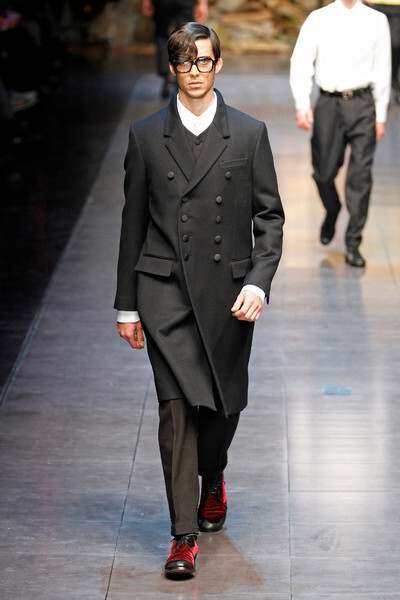 Dolce and Gabbana opted for inevitable winter shades like black (for coats, suits, velvets and cashmere), grey (for coats, suits, T-shirts, vests and embroideries) and white (for poplin shirts, inlaid shirts and for lace pillow-style embroidered jackets and shirts). 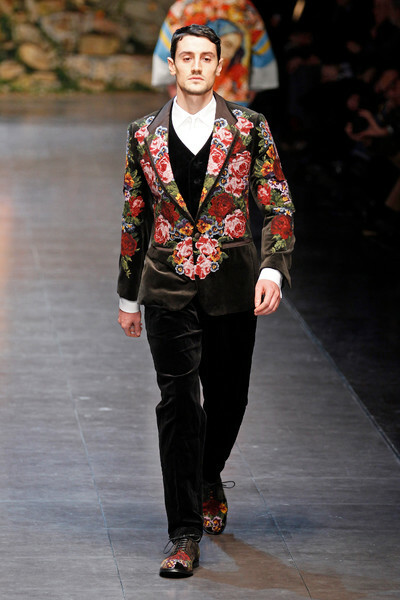 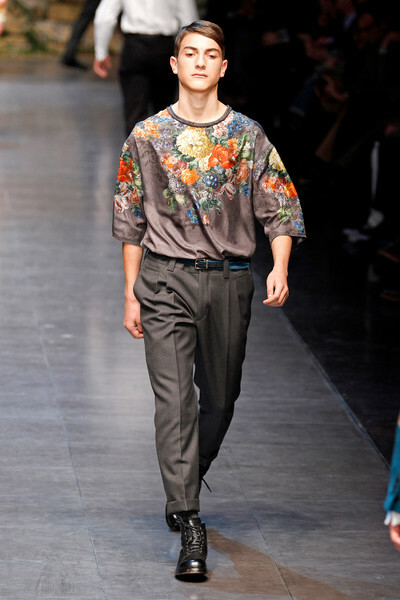 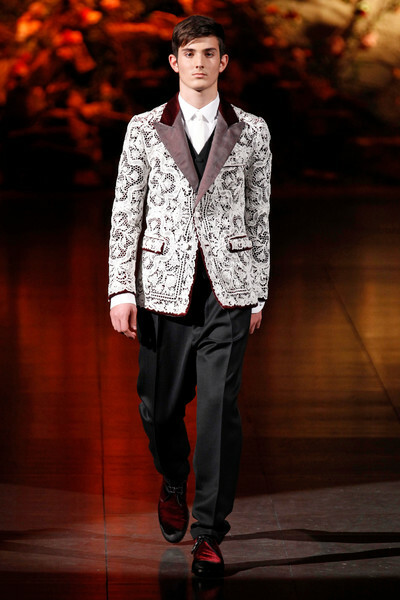 Yet they added rich colors at the end used on jackets and silk T-shirts printed and embroidered with flowers. 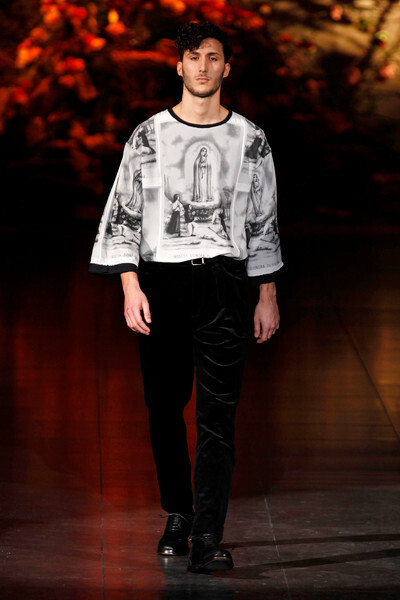 A few religious icons here and there, but the designers wisely said goodbye to last season’s Blackamoor imagery.